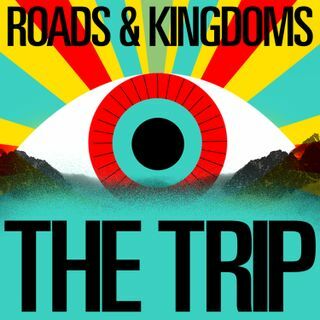 "The Trip is one of the most fun podcast interviews I've ever done. I'm still coming down from the high." —W. Kamau Bell. Join the late Anthony Bourdain’s partners at Roads & Kingdoms for interviews and drinks from around the world. From Oaxaca to the Himalayas, from hallucinogenic potions to Russian carraway moonshine. Hosted by Roads & Kingdoms co-founder Nathan Thornburgh. Beats by Dan the Automator. Artwork by Edel Rodriguez. Kanpai, y'all. This show is ... See More moving to Luminary! For more, go to LuminaryPodcasts.com.